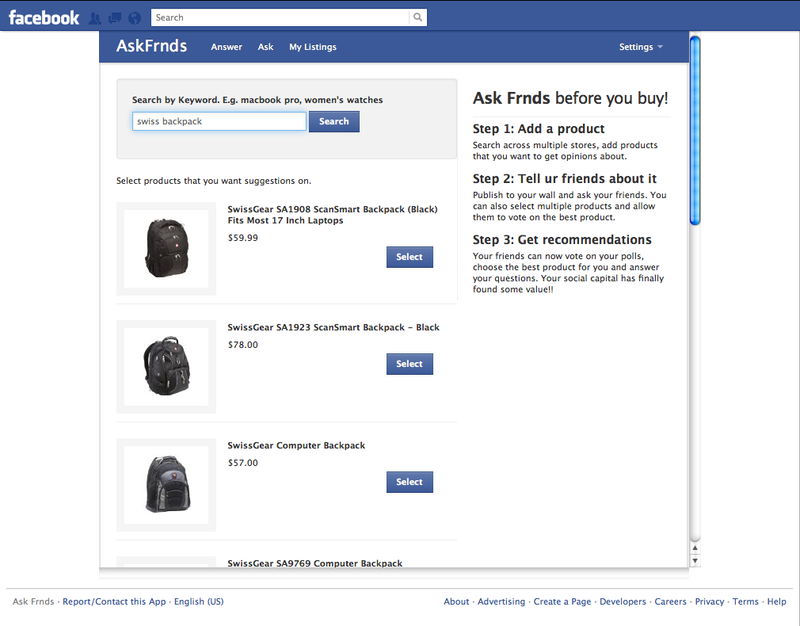 To start with, askfriends currently uses data from amazon and we are working on adding more stores. Besides reading generic reviews, users will be able to capitalize on social influence to get shopping suggestions. Once enough data is collected, it will be easy to build a recommendation engine, shopping comparison and other business intelligence tools. For a quick (25 seconds) tour, watch the video below. Thanks! !